We offer a professional service for our clients in safety consultancy. All Health and Safety advisors are highly trained and Chartered Members of IOSH. We aim to meet our clients needs by consulting with, and where necessary advising them on their responsibilities within legislations and best practice. 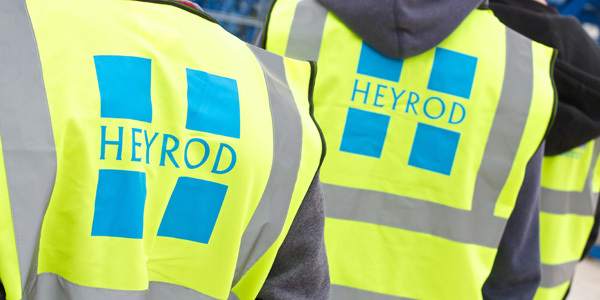 As a testament to our commitment to safety, Heyrod Constructions Managing Directors statement is “Safety before Production” and from the year 2016 – 2017 the Accident Frequency Rates & RIDDOR’s for Heyrod have fallen by some 70%. All our courses are accredited to the most recognised accrediting bodies, who demand only the best from us as a training provider. Their strict auditing procedures have confirmed our total commitment to providing only the very best training.